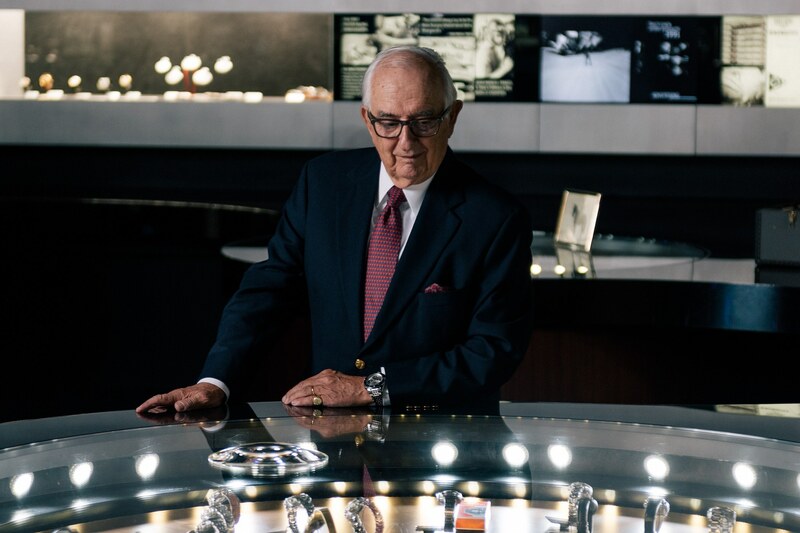 This year, Jack Heuer, Honorary President of Tag Heuer and watch industry royalty, is celebrating his 85th birthday. To mark the occasion, Tag Heuer will unveil a limited edition of the iconic Heuer chronograph – the Autavia – specially designed by Mr. Heuer himself. In total 1,932 pieces will be produced – in reference to Mr. Heuer’s birth year – with piece number 1 to be offered as part of the exceptional timepieces at the auction “Heuer Parade” organised by Phillips on the 11th of November in Geneva. Read on for all the details. 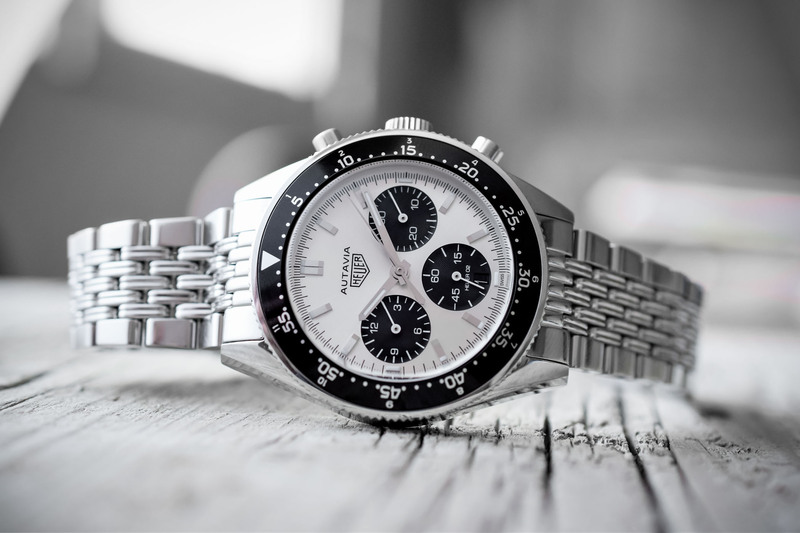 By now you’ve all heard (or read) about the story of the new Tag Heuer Autavia. 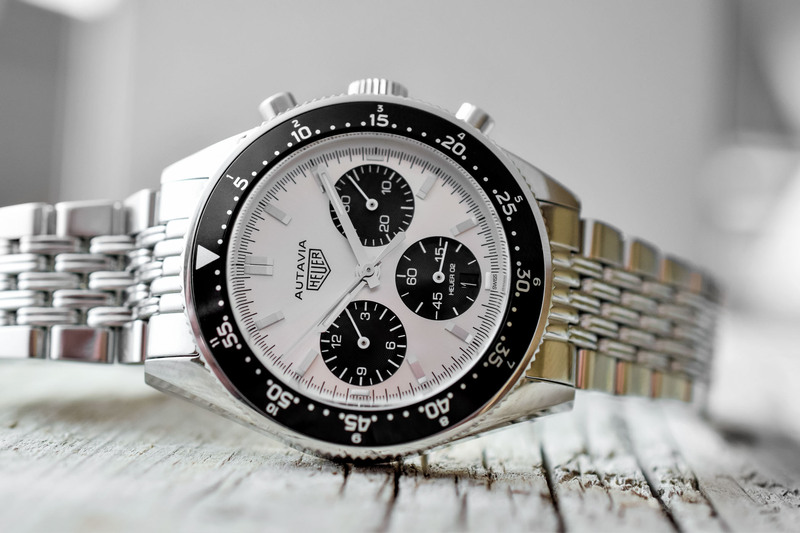 By way of a quick recap: in 2016, Tag Heuer came up with the idea of reintroducing the Autavia and held a special competition called the Autavia Cup to decide which model would be used. Long story short, a lot of people voted and the Autavia 2446 Mark 3 Jochen Rindt was declared the eventual winner. 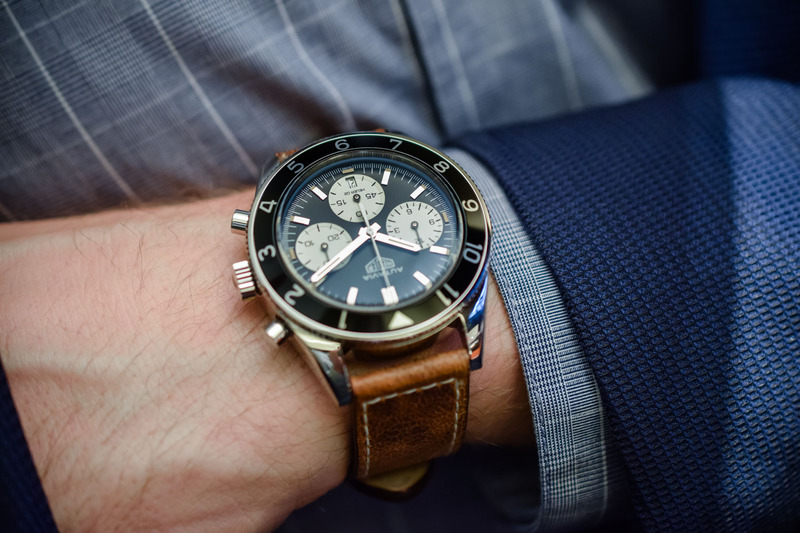 At Baselworld this year, Tag Heuer debuted the new Autavia 2017, a vintage reissue of the ref. 2446, which we got hands-on with here. The real story, however, of course, starts much, much earlier than 2016. 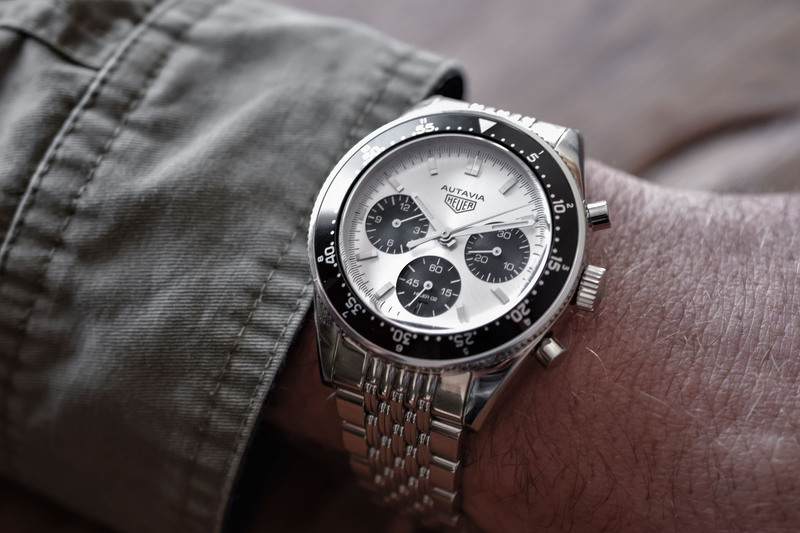 In fact, to truly understand the Heuer Autavia, we need to go all the way back to the 1960’s, where a young Jack Heuer, then the fourth-generation head of the company, was about to irrevocably stamp his name in the watchmaking history books. Since the 1930’s, the Heuer name has been associated with timing, be it in race car driving, aviation, or any other field that required elapsed time to be measured precisely. 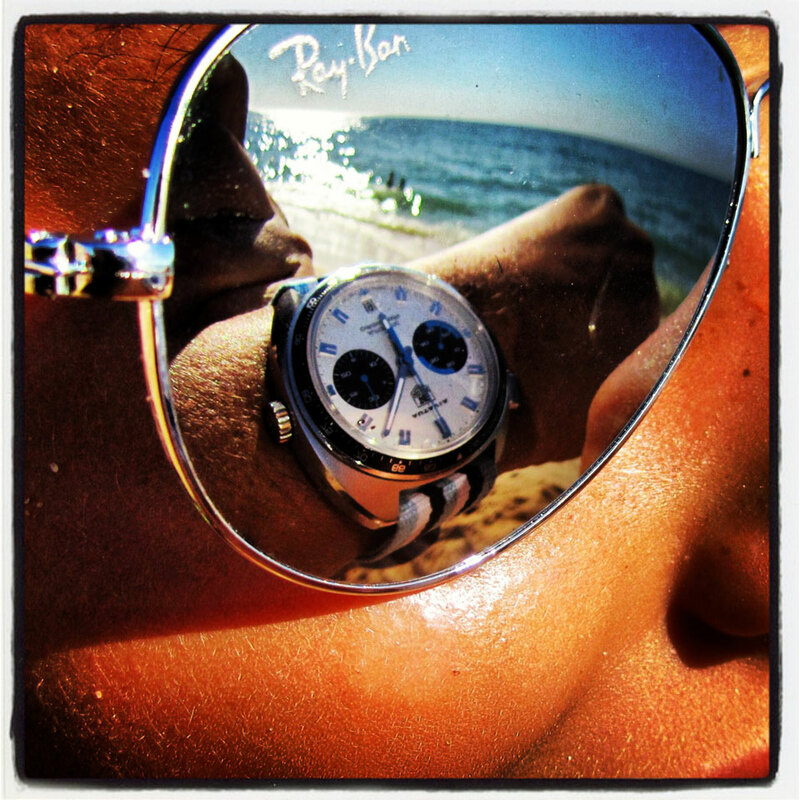 In 1933, the company designed the first dash counter for racing cars and aircraft: the Autavia chronograph. 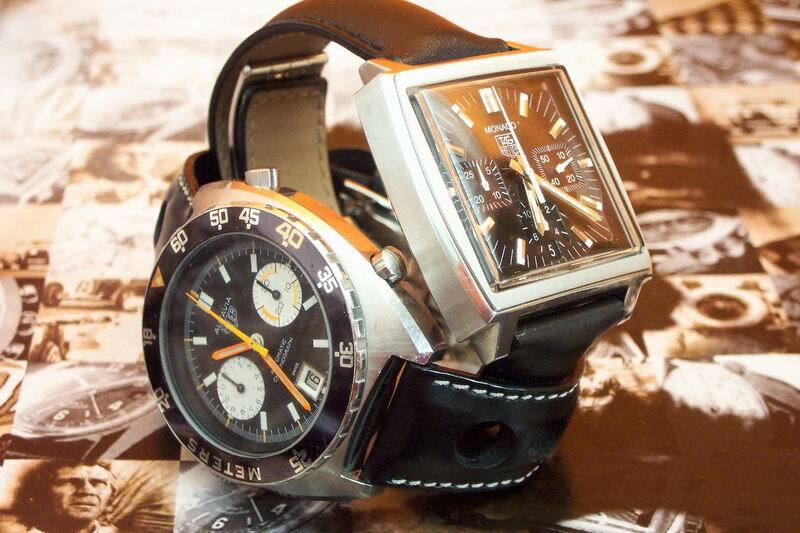 The name was a contraction of AUTomobile and AVIAtion, and it would establish Heuer as a timekeeper par excellence. 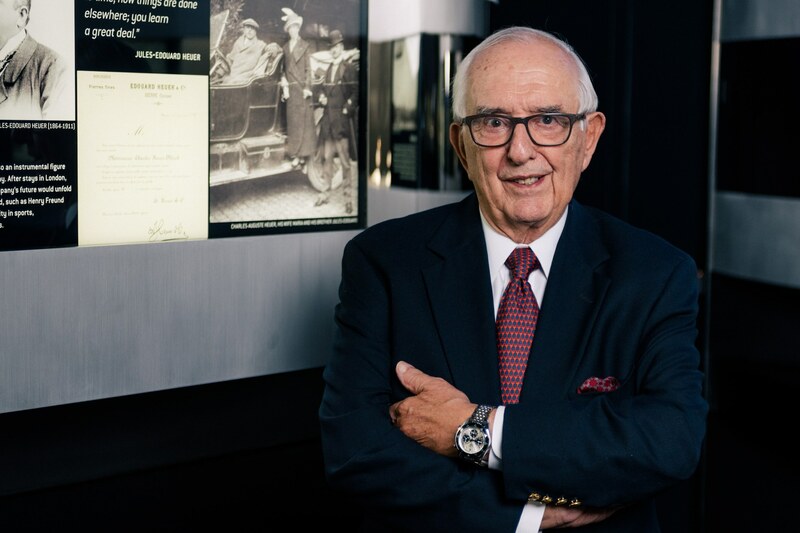 In 1960, a young Jack Heuer, great-grandson of Edouard Heuer, founder of Heuer in 1860, was working in New York as the head of Heuer Timer Corporation, an extension of the family business headquartered back in Switzerland. Having just completed his graduate studies in engineering, he was keen to put his knowledge and skills to work. He had of course been involved in the business long before then, but not in an official capacity. With the company facing some financial challenges, he found himself in a difficult position just two years later, when his uncle decided he wanted to sell his shares. Returning to Switzerland immediately from New York, he negotiated the purchase of his uncle’s shares and took control of the company at the young age of just 28. After deviating from its focus on chronograph watches in the 1950’s, Jack was keen to highlight Heuer’s strength as a timekeeper and so, in the same year, he designed his very first wrist sports chronograph – the Heuer Autavia – complete with innovative signature rotating bezel. This was, without doubt, a turning point for the brand and one that would have a significant impact on its direction and performance for the next twenty years. 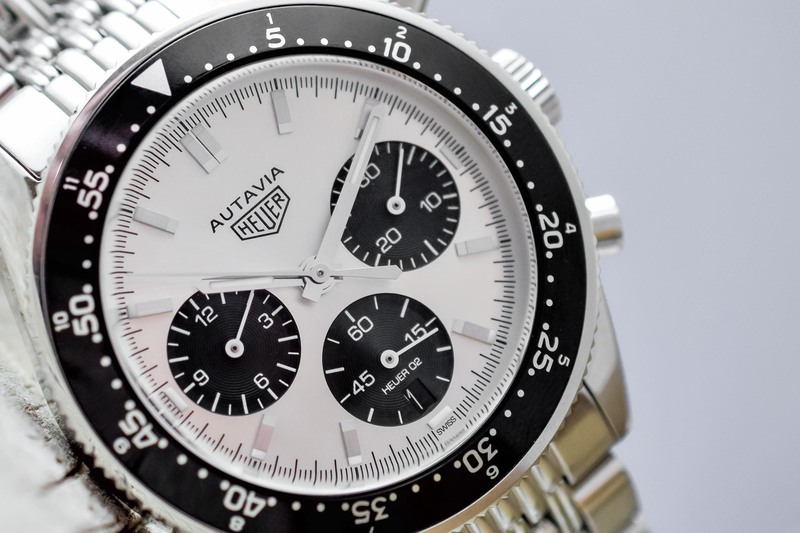 The decision to use the Autavia name was a stroke of genius, giving the watch instant credibility and recognition in the market. The successful launch of the Autavia was soon followed by the arguably even more successful Carrera, also designed by Jack Heuer. This watch was more pared down, a true timekeeper with no extraneous details. 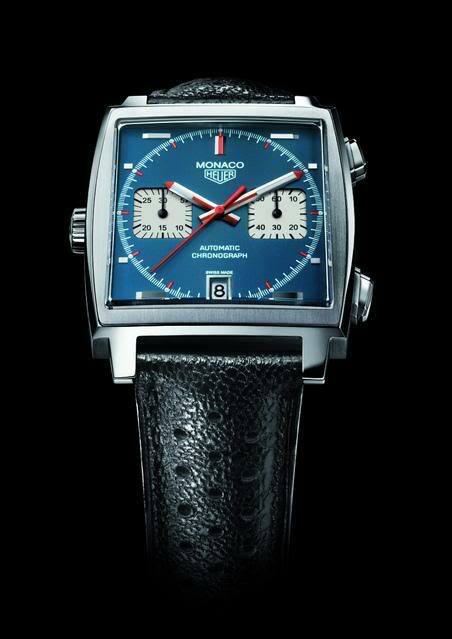 This same decade would also see the launch of the now-iconic square chronograph, the Monaco, as well as the introduction of the ground-breaking Calibre 11 Chronograph movement, considered by many to be the world’s first automatic chronograph. 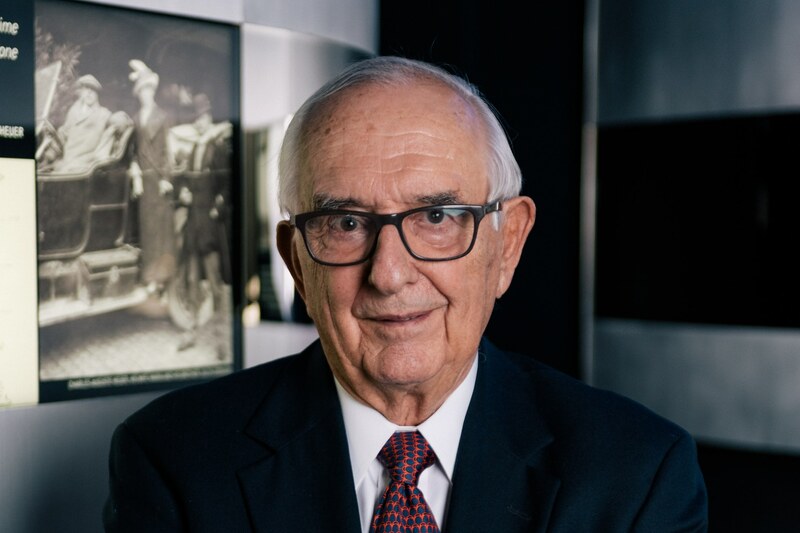 In one short decade, Mr. Heuer had already well and truly made his mark on the Swiss watch industry. The next decade was another matter entirely, thanks in no small part to the devastating effects of the quartz crisis, but that’s a story for another day. 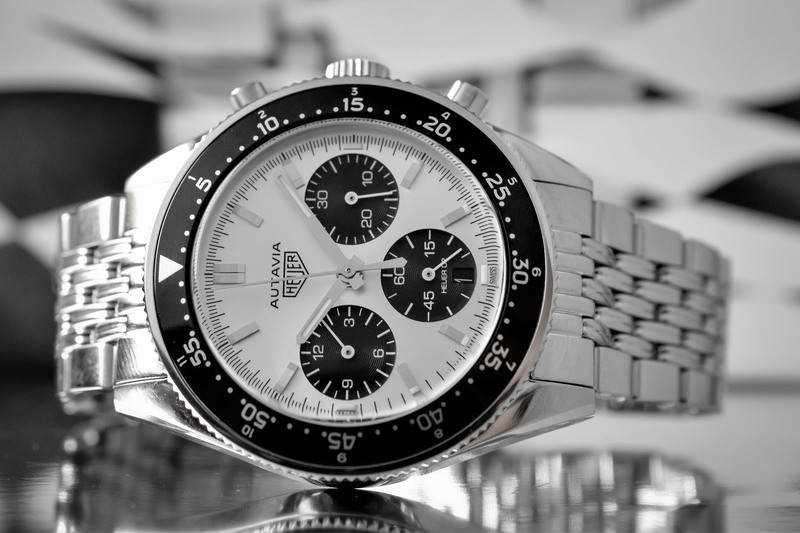 For now, let’s focus on the new limited edition Heuer Autavia. The first thing you will notice about this special limited edition version of the Heuer Autavia is that it has a panda dial. That means a silver sunray dial with contrasting black snailed counters at 3, 6 and 9 o’clock respectively. This is in contrast to the original Heuer Autavia designed by Mr. Heuer in 1962, which featured a black dial with white sub-dials, however, at the same time, it also sets it apart from the non-limited, re-issue model, which was unveiled earlier this year. The other notable difference is the bi-directional, notched black aluminium bezel with hour gradations. 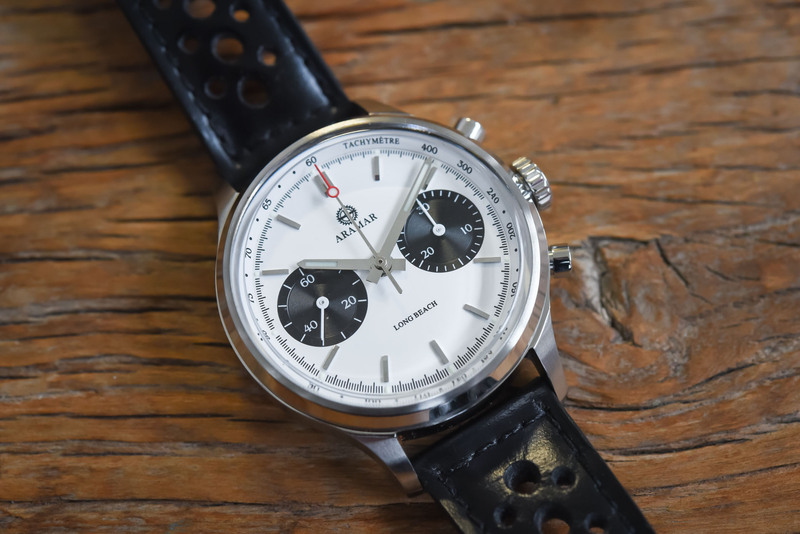 The non-limited model features a 12-hour scale, like the original Rindt version, whereas this new limited edition shows both the hours and the minutes, with the latter broken down into 5-minute intervals with dots to indicate the minutes in between. It’s not necessarily better or worse than the standard version, just different. 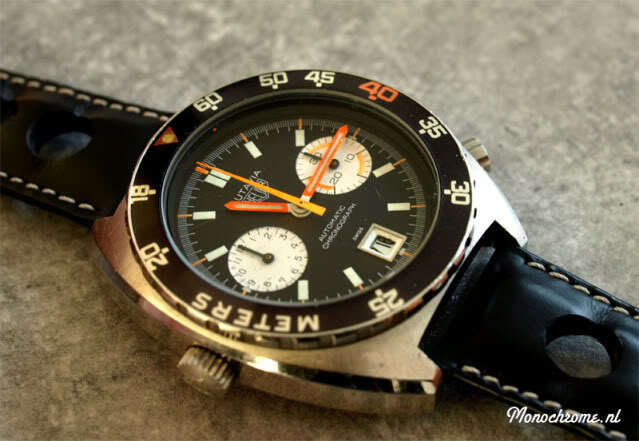 Other than these changes, this limited edition Heuer Autavia is largely the same as the standard model. Presented in a 42mm case made from polished steel it features the same mushroom push buttons, a ridged crown, and the ever-stylish “grains of rice” steel bracelet. Interestingly though, the dial of this version looks less ‘vintage’ then the reissue model, thanks largely to the absence of any faux patina lume. There’s still lume on the hands and the dial of course, it’s just a more understated and modern-looking white colour. That said, the original Heuer logo still appears just below 12 o’clock, which I’m sure holds a special place in the heart of Mr. Heuer. Inside is the same Heuer 02 movement, an interesting calibre offering an integrated automatic chronograph, with column-wheel and vertical clutch (based on the Calibre CH80 that all of us thought was dead). It ticks at 4Hz and offers a comfortable 80-hour power reserve. In this version, however, it is hidden away behind a solid caseback, which has been specially engraved to mark the occasion of Mr. Heuer’s birthday. 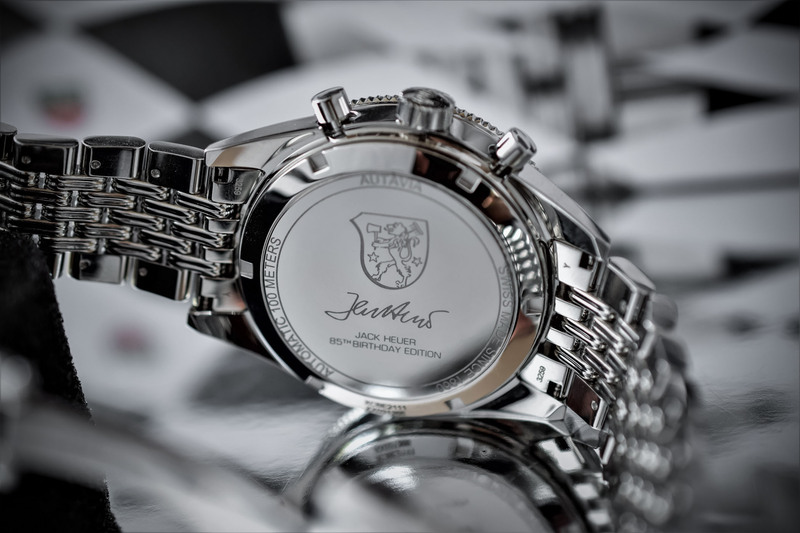 In addition to his signature, it also has the words: “Jack Heuer 85th Birthday Edition” inscribed. Pricing is USD 5,900 / EUR 5,250 / CHF 5,500 / GBP 4,650, and you will have the chance to bid on piece number 1 of 1,932 in the Phillips auction on the 11th of November. All proceeds from the sale of that watch will go to the Save The Children charity, which works to support children’s rights in over 120 countries worldwide. For more information, visit TagHeuer.com. Is the thickness different than the display case back non limited edition Autavia?